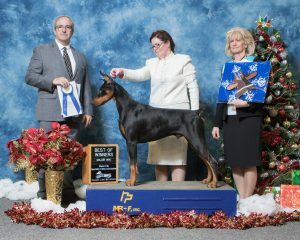 Cash is a multi best puppy in group winner, breed winner, and group placements. 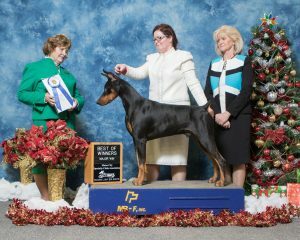 He placed in all his classes at the 2017 DPCA national, going second in Regional Sweeps, Best Bred By at the Regional, second in his class at the National, and fourth in sweeps at the National. 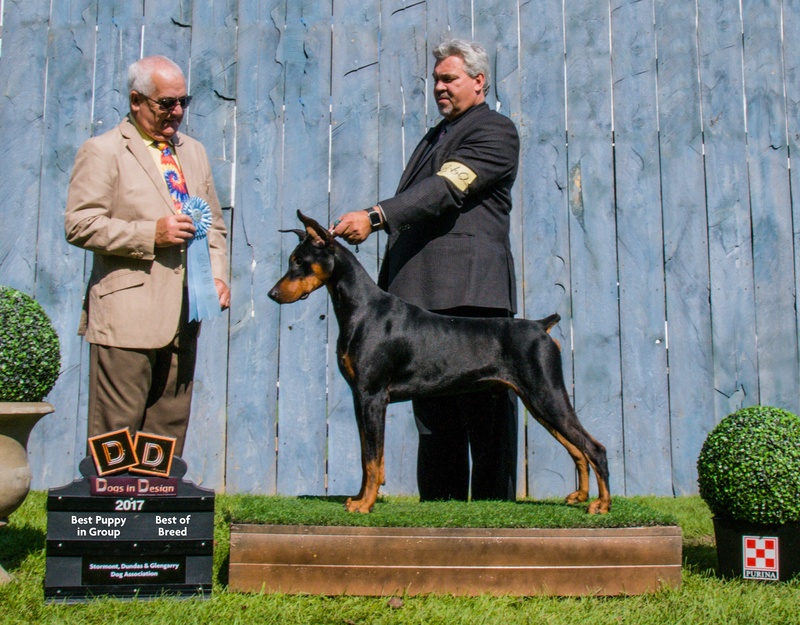 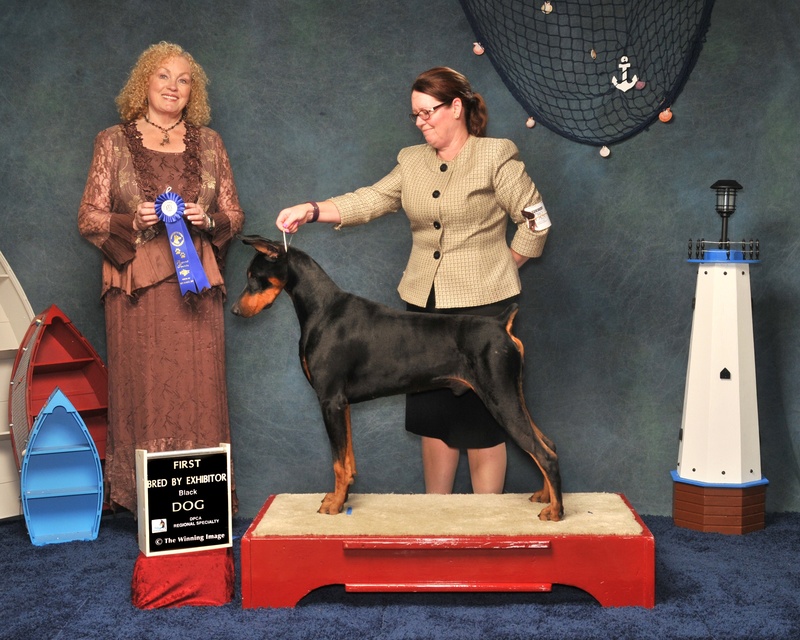 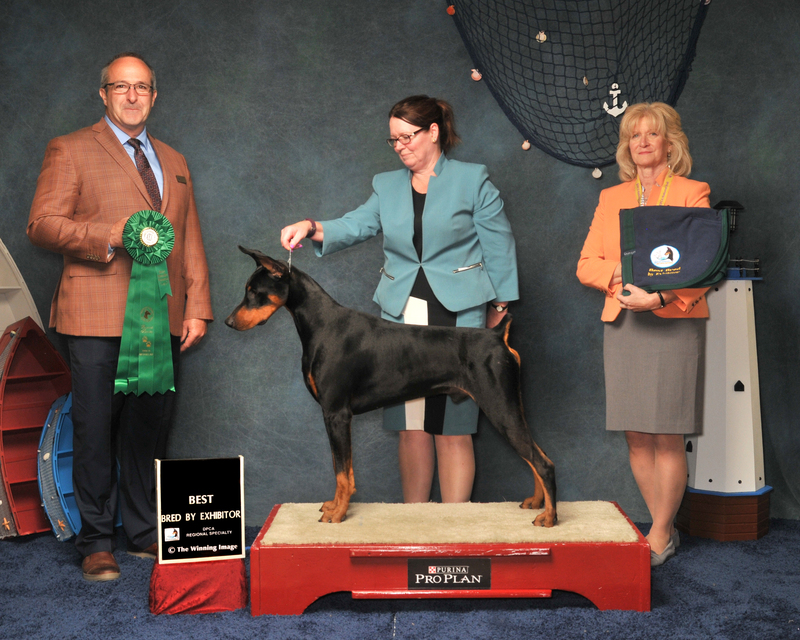 He was Best of Winners at both Doberman Pinscher Club of Detroit Specialties and Best of Winners at the All Breed show Saturday, and Reserve winners dog on Sunday. He managed to win 3 majors (4, 4 and 4 points) in one weekend. Cash picked up the last points quickly and is now an American Champion, and Canadian Grand Champion.